Huntsworth Health's longstanding PR boss Sandy Royden is leaving the agency after nearly five years. Royden, who is European CEO, has revealed she will leave her post at the end of March to take maternity leave. She will not return to the agency and will not be directly replaced. 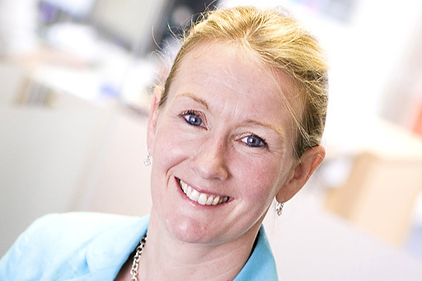 Her departure follows the completion of a global reorganisation of Huntsworth Health, which was revealed last October. The division represents about 28 per cent of the revenues of Huntsworth. The reorganisation has been headed by global CEO Neil Matheson, who joined the company last year. being consolidated under the Tonic Life Communications brand. Royden's departure from the agency has, in part, been prompted by its decision to move to a global structure as part of its reorganisation. Over the past five years, Royden has been responsible for driving the UK-based business forward. She joined in May 2005 and became European CEO in 2008. She led the European integration and spearheaded medical communications, brand communications, digital and other offerings. Prior to joining Huntsworth, Royden was head of health communications at pharma firm Novartis and worked as head of medical education at rival firm Sanofi-Aventis, where she spent eight years.